Sharon Day, a longtime resident of Emmett, ID passed away early in the morning, June 30th, 2018 at the age of 65. She was born January 5th, 1953 in Caldwell, ID to William and Donna Creason. After being born in Idaho, her family moved to Quincy, California, only to return shortly after. Sharon graduated from Wilder High School in Idaho. She loved her 50's music and muscle cars. At a young age, Sharon had to overcome learning how to rehabilitate her everyday life. She surpassed all doctors’ expectations. There was nothing she couldn't do. She was actively involved at Sulphur Creek Ranch and 4D Ranch in Cascade, Idaho, along with several others. Her love for cooking took her everywhere from restaurants to back country roads. She had a fiery personality and smile that could light up a room. Sharon took pride in teaching all her grandchildren and great-grandchildren all there is to know about hunting, fishing and camping. Family meant more than anything to her. She was known to everyone as "mom". She had so much love to give and she made sure everyone felt that. All the kids knew when they were going to grandma’s house they were going to be overfed and doing something outdoors! One of the family's favorite memories they will forever cherish is picking huckleberries on the side of the mountain to make huckleberry pancakes. Sharon is preceded in death by her parents, William K. and Donna Creason; brother, William K. Creason II (Dub); late husband, Leon Day and various relatives of extended family. 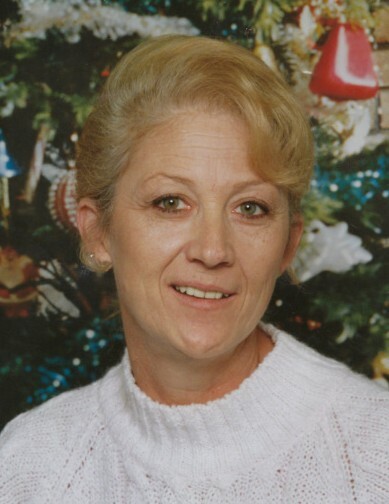 Sharon is survived by her sons, Robert Cain, and Calvin Hussman and a sister, Charlene Paul. She also leaves behind thirteen grandchildren; Bobbi Roberts, Cooper Roberts, Robert Cain II, Tiffany Wright, Dustin Cain, Jayce Cain, John Hussman, Kyle Hussman, Ariel Granden-Hussman, Stefani Hussman, Katelynn Hussman, Calli Hussman and Scotty McMikle; two great-grandchildren, Carter Roberts, and Robert Cain III; niece, Brenda Lowe; nephew, Kenneth Guest: and many great & great-great nieces and nephews. She is also survived by many self-adopted children and grandchildren. A celebration of life gathering will be held from 2pm-5pm Saturday, July 7th, 2018 at Wild Rose Park in Emmett, ID.